Easy to start, easy to use, and always fun. 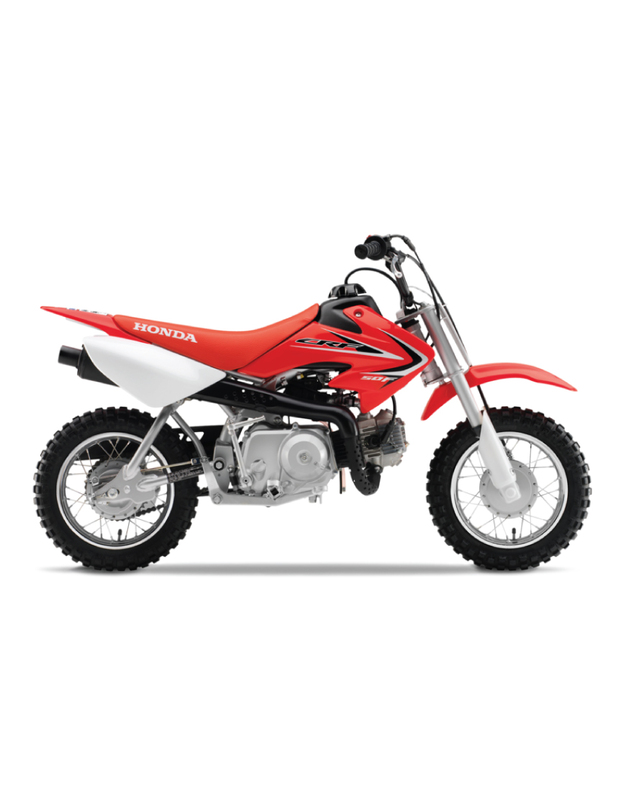 Widely recognised as the quintessential mini bike, the CRF50F is the choice of first-time riders the world over. 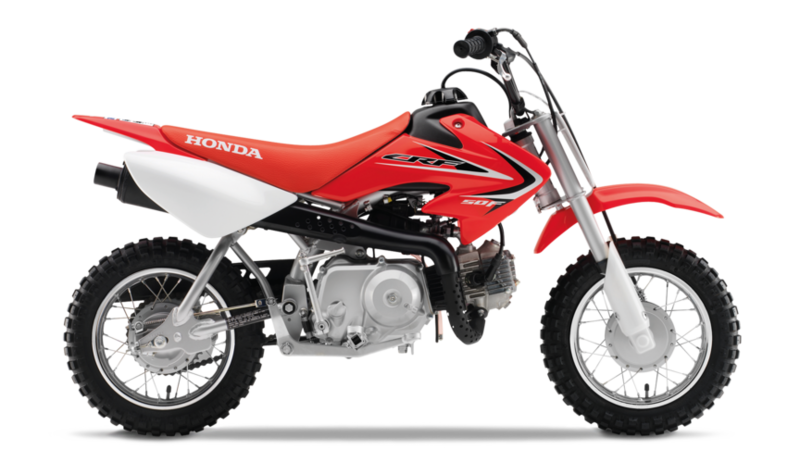 Its inverted fork, 49cc engine, easy-shifting gearbox with automatic clutch and low seat height make the CRF50F a cinch to ride. Built strong and solid, with big bike styling and racy new graphics, this CRF will soon have the fun meters of the smallest riders in the family running red - Honda red.